Follow TransCultural Exchange on Facebook! As of October 23, 2013 this blog will be inactive and all postings regarding opportunities in the arts will be available on our Facebook page: www.facebook.com/TransCulturalExchange. "Like" our page today and stay connected! Since 2011, Cda-Projects Grant has been offering a 10,000 EUR grant annually to support the production of an artistic research project. The grant aims at supporting and opening up discussions on artistic research to an expanded network through an open call. It encourages speculative approaches to how discourse is staged and how knowledge is produced, rethought and interwoven across disciplines. Without any limitations on the content, the proposed inquiries are expected to suggest new forms and methodologies by reflecting on contexts and conditions of the knowledge produced. Authors (includes artists, curators, writers, thinkers, etc.) of any nationality, regardless of age, can propose projects to be carried out individually or collectively. Applicants can submit an artistic research project that is currently in the production stage or one that is scheduled to be completed during the six month period following the date of selection.All the submitted documents should be in English to grant@cda-projectsgrant.org and each one should be sent as a separate PDF. Applications that are not sent in the specified format will not be considered. – Portfolio consisting of three completed research-based projects. TransCultural Exchange is not responsible for the content of listings in the Opportunities section. All postings are subject to review; inappropriate submissions will not be published. A Blade of Grass is a new funding organization that nurtures socially engaged art and has announced the launch of their ABOG Fellowship for Socially Engaged Art. Seven Fellows will be selected to receive an unrestricted stipend of $20,000 USD to realize an innovative, community-based project. The program will also offer tailored professional support to socially engaged artists including documentation and assessment of each project, and workshops that teach skills that are particularly relevant to artists working directly with communities to enact social change. Through active training, incubator-style workshops and professional consultations, the artists will be given tools to evaluate their own progress, as well as gain feedback from peers, community stakeholders, and objective, third-party evaluators. These and other professional development opportunities will help artists to make this community-driven work more meaningful and influential to the populations they are serving. As another key benefit of the fellowship, A Blade of Grass will conduct interviews with each of the artists and produce three-to-five-minute documentaries on each project that will be accessible on the A Blade of Grass website. Such online resources will bring the experience of these works beyond the immediate community of impact and illustrate some of the distinct challenges and advantages presented by socially engaged art. This documentation will also complement the online debates, studies and resources that make up A Blade of Grass's "DISCUSS" forum, as well as its public programs, all of which will be structured around an annual theme drawn from the work of some or all of the selected fellows. Collectively, these resources will bring clarity and excitement to socially engaged art through inclusive discussions on key topics and through direct exposure to these and other ambitious artworks. Artists nationwide are invited to submit proposals through a two-stage, open application process. A distinguished Selection Committee, made up of artists, educators, curators, critics and other art professionals, along with community leaders and advocates, will evaluate the proposals in terms of their artistic excellence, their ability to position artists in leadership roles to promote social change, and their relevance to communities. Application guidelines are now available on the A Blade of Grass website. Letters of inquiry will be due Monday, December 2, 2013. Finalists will be invited to submit full applications in January 2014 and selections will be made and announced in April 2014. Informational workshopsA Blade of Grass will hold two informational Fellowship Workshops prior to each annual application deadline. This year, they will be held on September 17 and November 6. The Workshops will be open to all interested artists and are designed to bring artists face-to-face with former Fellows and staff, in order to provide a transparent overview of the ABOG SEA Fellowship experience, as well as introduce successful social engagement methods in general. For those unable to attend, the workshops will be videotaped and made accessible online. The programs should help the artists determine if they are a good fit for the program and maximize their ability to construct a competitive proposal. Attendance is strongly encouraged. ContactTo view the complete application and selection guidelines visit the A Blade of Grass website. For press inquiries or further information, please contact info@abladeofgrass.org. The International Association of Visual Culture (IAVC) invites proposals for its third biennial symposium in San Francisco on March 14 - 16, 2014. The symposium will be an international gathering centered on the concept of visual activism. It will explore the relationships between visual culture and activist practices across a wide range of contexts. Through varied and diverse modes of image-making, artists and designers may create and manipulate tools of social change. Likewise, political activists may utilize visual strategies and objects in order to confront and address social and political issues. Art can take the form of political and social activism, and activism often takes on specific, and sometimes surprising, visual forms that are not always aligned with or recognizable by art-world frameworks. During the convening, artists, cultural producers, scholars, students, critics, organizers, activists, and citizens will engage with and offer perspectives on the many questions that arise: to what degree do forms of visual activism travel? In what ways are they necessarily grounded in geographically specific spaces and locally specific knowledge? How can theorists, scholars, and practitioners engage in conversations about abstract or oblique visual activism, such as those produced in conditions of extreme censorship? How can the complexity of governmental or commercial visual activism be approached to better address hegemonies of visual culture? How does the past become a form of visual activism in the present? Proposals should respond to these questions or related topics and may take the form of papers (20 minutes), artist talks (20 minutes), short performances (five to 30 minutes), or lighting-round interventions (five minutes). Limited funds are available to support travel. Proposals should include a 400-word abstract, links to websites with additional publications or relevant images and information, and a CV. Please send proposals to edu@sfmoma.org (with” Visual Activism” as the subject line) no later than October 1, 2013. Free and open to the public, the conference comprises various modes of engagement: short and long-form presentations, small-group discussions, screenings, and performances. It will also be paired with Bearing Witness, the second of three SFMOMA symposia made possible by the Fraenkel Gallery Fund for New Studies in Photography. Call for Applications Deadline: February 15, 2014 ARTErra is a multidiciplinary art residency in Portugal. ARTErra is located in a calm and green village with a comfortable house and a “creation yard” with several work rooms, tools and resources that can be adapted for any artistic challenge framed by a garden and some farm animals. They are now accepting applications for 2014. To learn more about ARTErra visit http://arterra-residencias.blogspot.com/ or their facebook page. Contact them to request the application form and with any questions at arterra.geral@gmail.com. The Metropolitan Museum of Art, one of the world's finest museums, seeks a Curator of Architecture & Design that is a specialist in both Architecture and Design. In this respect, the Curator will work closely with the Chairman and will participate in the active research, development and management of the Modern and Contemporary collection and the Breuer project; major special exhibitions; initiation of collection displays, publications and interpretation; and participation in all activities of the Department. Primary responsibilities and duties:–Working closely with the Chairman and other full Curators, assist with management of the Modern and Contemporary Department. –Using expertise in architecture and design, lead the review of architecture, design and other related aspects of the collection. –Lead departmental collection and research strategies in respect to architecture and design. –Initiate and curate major special exhibitions for the Breuer project. –Devise and plan collection displays and other projects for Modern & Contemporary. –Initiate special exhibitions, including research, catalog entries and other texts for Museum Programs. –Cultivate new relationships and maintain existing connections with donors, patrons, collectors, colleagues from other international institutions, the scholarly community, dealers, and other individuals involved with the interests of the Museum. –Act as editor, key author, and essayist as appropriate for major exhibition catalogues and other specialized publications, including online content. –On behalf of Chairman, oversee and expedite correspondence related to Collection and Modern and Contemporary Programs. –Contribute to public programs (Learning, Volunteers, Visiting Scholars, etc.) as appropriate. –According to Modern& Contemporary Department objectives, interact with potential sponsors and assist with fundraising as appropriate. –Advise on planning programs for Modern and Contemporary Department patrons' groups. Experience and skills requirements:–Minimum ten years (preferably fifteen years) experience in a museum or academic institution. –Demonstrated engagement with artistic, architectural and design theory and international practice across the world. –Demonstrated scholarly achievement and extensive published record, including evidence of original research. –Initiated and executed major and relevant loan exhibitions with broad international scope. –Demonstrated commitment to broad international engagement and learning. –Excellent interpersonal and communication skills with internal colleagues across the Museum and externally with artists, designers, scholars, architects, donors and general public. –Ability to create and maintain precise and widely researched records. Knowledge and education:–PhD (or equivalent) history of art or architecture. –Deep expertise in twentieth and twenty-first century architecture, design and art. –Extensive background in international modern and contemporary culture. –Excellent written and spoken English. –Proficiency in one non-English language. The Curator for Architecture & Design for the Modern & Contemporary Department is full-time and includes full benefits. Salary will be commensurate with experience. Send cover letter, indicating position of interest, resume, and salary history to employoppty@metmuseum.org as a Word attachment only, with "Curator/Architecture & Design" in the subject line. – David Medalla, Director, The London Biennale. Boston University will host TransCultural Exchange's 2013 Conference on International Opportunities in the Arts: Engaging Minds, October 10-13, 2013. • Extensive networking opportunities and social events. • Portfolio reviews with funders, curators, gallery owners, residency directors and critics. • 50 panels with topics ranging from cultural diplomacy to paid residencies. • Workshops on marketing, grant writing and copyright law. • Visits to Boston’s attractions, including MIT's Art and Architecture program. • Gallery receptions, concerts and readings. Call for Applications The NARS Foundation International Artist Residency Program provides national and international artists with the advantage of creating new work while engaging with the vibrant arts community in New York City. Artists-in-residence have access to an individual studio space and various professional development programs, including studio visits, artist talks, and workshops, as well as opportunities to share their work through exhibitions and an open studio event. The Bemis Center is housed in two urban warehouses totaling 110,000 square feet. Each artist is provided with a generously sized live/work studio with a private kitchen and bathroom and 24 hour access to facilities including a wood shop, 9,000 square feet of installation spaces, and a 10,000 square foot sculpture fabrication facility. The residency is 3 months of uninterrupted, self-directed work time. The Bemis Center provides Artists-in-Residence with the gift of time, space and support. $750 monthly stipend. Application deadline is September 30th. The Vermont Studio Center holds three annual fellowship deadlines, including 16 fellowship awards open to all artists and writers working in any genre/medium. In 2012, VSC awarded 193 fellowships to artists and writers from the U.S. and 20 other countries. All of the fellowships are for 4-week residencies at VSC unless otherwise noted. Visit www.vermontstudiocenter.org/fellowships to see the full list of fellowship opportunities available and eligibility details. In partnership with UNESCO-Aschberg Bursaries for Artists Programme, National Art Studio, Changdong is offering three international bursaries for visual artists. The UNESCO-Aschberg Bursaries for Artists promotes the mobility of young artists and accepts applications from visual artists over the age of 25 who live outside of Korea. The three-month residencies include roundtrip travel, studio space, a stipend of 3,000,000 KRW (2,000 euro) and opportunities to show at onsite gallery. Artists/designers in the U.S. Previous public art experience required. Project budget is $60,000-100,000 all inclusive. The Binghampton Development Corporation in partnership with the UrbanArt Commission, the Broad Avenue Arts District and Livable Memphis are inviting artists/teams to apply for the Discover Binghampton project, which will lead to the installation of four art exploration stations along the Overton-Broad Connector, a cycle track currently in design. Discover Binghampton is intended to add to the sense of local identity of the neighborhood. Each station will artistically reflect a story of the Binghampton Community. The goal is to offer an interactive art experience. Application deadline is November 1, 2013, or until filled. Assistant Professor, to begin July 1, 2014. UCSD seeks a film and media historian or theorist. All research specializations will be considered, but t a demonstrated interest in the relation of film and media to other art practices of the 20th and 21st centuries, and/or an engagement with the contemporary new media landscape is preferred. The candidate will be responsible for developing and teaching large undergraduate lecture courses on the history of film and media, undergraduate classes for majors in art history and media studies, and graduate seminars for an innovative Ph.D program in art history, which includes a concentration in art practice and also enrolls MFA students in its courses. Faculty in all areas of our department are expected to serve both the MFA and Ph.D programs by giving critiques, supervising independent studies, and serving on graduate committees. The department offers B.A., M.F.A., and Ph.D degrees. Teaching at both undergraduate and graduate levels is expected. Candidate should have a record of excellence in research and teaching. Ph.D. (or close to completion) required. UCSD seeks candidates whose research, teaching, or service have prepared them to contribute to UCSD's commitment to diversity and inclusion in higher education. Applicants are asked to summarize their past or potential contributions to diversity in their personal statement. Contributions might include such items as providing leadership in teaching, mentoring, research or service towards building an equitable and diverse scholarly environment and/or increasing access or participation of individuals from historically underrepresented groups. Only applications submitted electronically will be accepted. To apply, visit [https:]] . Applications should include a cover letter, statement of research, statement of teaching, curriculum vitae, names and contact information of two references (do not send letters of recommendation and/or placement files) and evidence of work in the field. The evidence may be in the form of off prints of articles, copies of books, etc. in PDF format that can be uploaded into the online electronic system. Applicants should also submit a separate personal statement summarizing past or potential contributions to diversity. Please reference position #FMH-2014-L on all correspondence.For complete details, visit: visarts.ucsd.edu. Application Deadline is October 10th. The Van Eyck is a post academic institute that has turned into an international multiform organization for fine art, design, and reflection. They are a multidisciplinary institute that furthers experiment, research, study, production and exchange. The Van Eyck offers advisors, labs, courses, lectures, projects, presentations, workspaces, gardens, opportunities, and possibilities. The Van Eyck is looking for artists, designers, writers, curators, and critics in the fields of fine art and design. Tired of just READING about residency opportunities? Then REGISTER for TransCultural Exchange's 2013 Conference on International Opportunities in the Arts: Engaging Minds, October 10-13, 2013 hosted by Boston University. Come meet the people who run them, show them your work, and make things happen for yourself! Call for Artists Residencies - Register Today! Register today for TransCultural Exchange's 2013 Conference on International Opportunities in the Arts: Engaging Minds, October 10-13, 2013, hosted by Boston University. There you can meet members of Trans Artists and discuss their water-related artist in residency programs. This residency takes place in the former home and studio of artist John Latham, which he designated a 'living sculpture'. Flat Time House operates as a base for interrogating sculpture as a subject of research, rather than a static artform or medium. The residency will involve time spent in the John Latham and Barry Flanagan Archives. The selected artist will be provided with accommodation, studio, stipend and a production budget towards new work. The artist will be selected from an open call, with the 4 month residency resulting in a public exhibition and publication in 2014. Period: November 2013 - March 2014. Open to all qualified to apply. Salary 50,000 GBP per annum. Tate St Ives, part of the Tate family of Museums which includes Tate Britain, Tate Modern and Tate Liverpool, is developing as an international centre of art and exchange at the heart of Cornwall. Rooted in its local context with a particular focus on the St Ives Modernists, the gallery seeks to reflect the radical nature of this legacy in a dynamic programme of modern and contemporary art. The Museum is currently embarked on a 13.3m GBP capital project, completing in 2016, which will transform the gallery's ability to host and engage with a variety of visiting and local audiences and improve the capacity of its artistic programme. Leading the delivery of the artistic vision for Tate St Ives, the new Artistic Director will direct and lead the gallery's art and learning programmes to reflect and embody the role of Tate St Ives as a centre for enjoyment and study of 20th-century contemporary art. They will work closely with the Executive Director and have access to the Director, Tate and Tate National on the development of the artistic programme and to the Director, Tate Learning on the development of the learning programme. They will play a key role with the Executive Director in setting the strategic direction and business plan for Tate St Ives and will represent Tate St Ives effectively to artists, collectors and institutions in Cornwall and the South West, also nationally and internationally. Candidates for this Director-level post will not only have a distinguished track record as a curator of modern and contemporary art and a deep commitment to and understanding of learning programmes, they will also be able to demonstrate management and leadership capability. They will have academic leadership and research skills as well as the ability to lead, influence, negotiate and work collaboratively across a complex organisation to deliver exceptional results. For more information or to receive an application pack, please contact Mary Deegan of Liz Amos Associates on +44 (0) 20 7884 9201 or at mary.deegan@lizamosassociates.com. Information is also available at www.tate.org.uk or www.lizamosassociates.com. Deadline to apply is September 15, 2013. To learn more, visit http://grahamfoundation.org. This project is an artist in residence program which aims to provide three animation artists from around the world with an opportunity to come to Tokyo and create new works while directly interacting with Japanese animation culture. In doing so, JAPIC aims to promote both the creation of excellent works of animation and a better understanding of Japanese culture. Duration of the program is 70 days between January 7th and March 17th 2014. For more information and to apply, visit [japic.jp] . Created by two artists as a way to inspire creative thinking and artistic exploration, the Mystery Build competition challenges you to make something amazing using only the materials in a kit. The 2013 contest offers $15,000 in cash awards. Their objective is to encourage artistic exploration and experimentation, and to reward creativity and ingenuity. It is their belief that art has the power to transform lives and shape cultures. And that art is a universal language that allows us to explore our individuality and our common ground, and that every person has unlimited creative potential. The theme this year is "Re-Invent a Work of Art". Submit photos and/or videos of what you make to compete for cash. The 5 lb. kits are 12" x 9" x 3" and contain a wide variety of materials. Work individually or as a team. Entry fee includes materials kit. The 2013 Mystery Build Art Contest is open only to legal residents of the U.S. and Canada (special shipping rates apply). Void where prohibited. Entries completed by persons or teams under the age of 18 must be submitted by an adult who is 18 years of age or older to be considered for prizes. Deadline is October 20, 2013. To learn more about this unique opportunity, visit http://www.mysterybuild.com. Open to Film, Photo, and Writing submissions; $9000 in prizes. For centuries and across cultures, artists have represented the world as it may be envisioned through ephemeral images of inner visions, fantasies, mysteries and the unreal. This contest is an opportunity for our international community of photographers, filmmakers and writers of all ages to present their representations of dreams to a distinguished panel of judges. Judges include: Beth Einhorn, Writer for The Tonight Show with Jay Leno; Tom Wilhite, President and co-founder of Hyperion Pictures; Sharon Creech, Newbury Award-winning author. Early submission discount for submissions fees is August 15, 2013 and entry deadline is September 27, 2013. To learn more, visit [www.mainemedia.edu] . Deadline for submissions is August 30, 2013. Portland Design Auction - or PDA - is a live auction focused on contemporary art and design from makers working both nationally and internationally. Through the end of August they are looking for talented people to submit work to their jury of art and design professionals. The auction itself will take place on October 10th, 2013 during Design Week Portland- a strategic move to advance PDA’s mission to connect as many makers with as many prospective buyers as possible, and to raise the bar for creative commerce in our local community and beyond. PDA is not a benefit auction - the primary goal is to ensure that artists and designers make a fair wage for their work, and that collectors, and design enthusiasts see the most inspiring pieces on the market. The aim is that participants will be rewarded artistically, socially and financially by doing what they love, and that taking part in this endeavor might jump-start or accelerate the individual’s creative career. Auction submission is open to all working artists and designers and students of art and design, both in the U.S. and internationally. We ask that submissions are original, contemporary pieces that are a testament to the dedication you have to your craft. Work must be submitted to [www.portlanddesignauction.com] by 8/30/2013 for consideration. Join the São Paulo International Art Fair as it celebrates its ten-year anniversary edition! Galleries interested in participating can access the online application at www.sp-arte.com/application. The Fair will take place April 3–6, with a VIP/Professional preview being held on April 2, 2014. In 2013, SP-Arte experienced a historic edition, establishing SP-Arte as one of the leading global art fairs in the world. 122 galleries participated in the Fair and over 22,000 collectors, curators, artists, and art professionals visited the Pavilion to experience vast Modern and Contemporary artwork available by both Brazilian and International artists. -Modern (up to 1970s) and Contemporary (1980s to present) sections for galleries specializing in works ranging from the early 20th century to present day. -Showcase, a section launched in 2012, will now be divided into two groups. One group will show works by a maximum of three artists. The second group will present monographic exhibitions coordinated by a guest curator. Galleries for this second group will be selected through invitation by the guest curator or via SP-Arte's application. -Editorial Cluster, an exclusive section designated for publishers of artist's books. All galleries should have a permanent exhibition space with at least three years of experience; galleries are encouraged to submit a detailed exhibition project for the Fair that includes a description of the installation and artwork images. The deadline to submit all applications and necessary documents is October 1, 2013. For additional questions, please contact application@sp-arte.com. All applications will be reviewed by the Fair organizers and Selection Committee and a final list of exhibitors will be announced on December 1, 2013 on SP-Arte's website. Deadline is September 12, 2013. Works completed or released between September 21, 2012 and September 12, 2013 are eligible for entry in the four divisions—Art, Entertainment, Animation and Manga. Entries are sought from professional, amateur, independent, and commercial creators from across the globe. In early December, the winners of the Grand Prize, Excellence Awards, New Face Awards, and Special Achievement Awards, as well as other Jury Selections will be announced. The Exhibition of Award-Winning Works, in which these will be presented, will be held from February 5 to 16, 2014, at the National Art Center, Tokyo and other locations. Entries can be submitted by uploading data online. For more information about entry, and to complete registration and submission of work and/or reference materials please visit [j-mediaarts.jp] . To apply: Applications are accepted via the UCSC Academic Recruit online system, and must include 1) a letter of application outlining scholarly and creative background as well as current and future research plans; 2) curriculum vitae; 3) three samples of creative work. (Please upload PDFs with links to specific samples of moving image or other creative work. ); 4) Sample of research paper, article or other publication (optional); 5) teaching statement (optional); 5) three confidential letters of recommendation. * Applicants are invited to submit a statement addressing their contributions to diversity through research, teaching and/or service. All documents uploaded to the UC Recruit online system must be in PDF format. Seeking to hire an individual who is making an ongoing contribution to the advancement of experimental forms of documentary, narrative, and/or media arts and design practices and who will add to the department's strengths in the criticism and the creation of socially engaged fiction and nonfiction work. The ideal candidate will demonstrate a broad understanding of the scholarly fields of animation studies, critical histories of animation (including documentary animation), film and media theory, and visual art practices. UCSC has a strong interest in candidates with expertise in bridging areas of animation, visual art, interactive media, and gaming technologies. Areas of research and teaching might include 2D, 3D CGI, Stop-Motion and/or digital animation, character animation, immersive interactive installations, virtual environments, mobile platforms, and convergences of design, media arts, science, and technology. The Film & Digital Media Department offers a Ph.D. designed to challenge traditional borders between creative and critical practice; an M.A. in Social Documentation aimed at training documentarians in creative and scholarly approaches to social change, media representation, and marginalized cultures; and a B.A. which emphasizes both critical studies and production. The Film & Digital Media Department is in the Division of the Arts, which also includes Departments of Art, History of Art and Visual Culture, Music, Theater Arts, the M.F.A. Program in Digital Arts and New Media, and Ph.D. programs in Music and Visual Studies. There are opportunities for scholarly, creative and teaching connections in these areas, as well as with colleagues and programs in the Humanities and Social Sciences divisions and the School of Engineering where we have strong connections with the department of Computer Science and its faculty members specializing in computational narrative, cinematography and gaming. UCSC also jointly host a markerless motion capture studio and several Kinect sensors for teaching and research related to animation and gaming. The Arts Division supports faculty research through the Arts Research Institute; the campus supports research and teaching with grants awarded by the Committee on Research, the Committee on Teaching, and other groups. Essential Functions: - In collaboration with the Director of University Museums and staff members, implement best practice in the areas of curatorship, collection development, exhibitions, and research. Direct and support the museum's daily curatorial programs, maintain contacts with scholars, museum professionals, and collecting institutions. - Develop and manage an active exhibition and educational program, help develop a vision for the collection, evaluate current standards of collection care, assess preventive conservation goals for the museum, maintain collection records, and be responsible for proposing acquisitions and deaccessions. - Represent the museum at professional organizations, assist and work with the director, building committee, Colgate faculty and Hamilton constituencies in regard to the envisioned CAC. Responsibilities also include the development and implementation of strategic goals, policies, and objectives related to collection and exhibition management which adhere to the highest museum standards and best practices. Engage Colgate's students and faculty while working closely with the Picker's educator and Colgate University's senior curator at the Longyear Museum of Anthropology. - In coordination with the Director of University Museums, supervise the Picker Art Gallery's collection management (registrar), installation (preparator), students (work-study, and interns), and interact with museum staff, students, faculty, collectors, donors, volunteers, and the public. - Master's degree in art history or related field with expertise in at least one of the Picker's collecting areas, a minimum of 7 years museum and curatorial experience, preferably in a university setting, a track record of collection building, exhibitions, and publications as well as knowledge in collections management software. - This position requires proven knowledge of curatorial and museum practices, administrative experience, excellent organizational, interpersonal, and communication skills, the ability to work effectively in a leadership position within a collaborative environment, and proven experience in grant writing. - Must be capable of working collegially with a diverse group of faculty, staff and students on a daily basis. - PhD or equivalent preferred. Experience in a university museum setting preferred. ART BUZZ is accepting submissions for the 2014 juried Fine Art Search for Exposure & Recognition which is open to emerging and mid-career visual artists, worldwide, who work in any visual art media (must be 18 or older). Award winners will be featured in the international, hardcover publication: Art Buzz, The 2014 Collection. Art Buzz Publishing was founded in 2007 and offers an alternative to mainstream art publications and a way for lesser known and undiscovered visual artists to showcase their work to an international audience. Available to artists of exceptional talent, providing time, space, and an inspiring environment in which to do creative work. A Fellowship consists of exclusive use of a private studio, accommodations, and three prepared meals a day for two weeks to two months. There is no cost for a Fellowship; travel funds and stipends are available to artists-in-residence based on need. The Colony accepts applications from artists working in the following disciplines: architecture, film/video arts, interdisciplinary arts, literature, music composition, theatre, and visual arts. MacDowell encourages applications from artists representing the widest possible range of perspectives and demographics, and welcomes artists engaging in the broadest spectrum of artistic practice and investigating an unlimited array of inquiries and concerns. To learn more and to apply, visit http://www.macdowellcolony.org. Attend TransCultural Exchange's 2013 Conference on International Opportunities in the Arts: Engaging Minds and you can meet speaker, David Macy, who is the Resident Director at the MacDowell Colony! He will be part of the National Residencies: A Selection of Programs Panel on October 11th. To learn more and to register, visit our website [www.transculturalexchange.org] . SlowArt Productions presents the annual group thematic exhibition, A Show of Heads. The exhibition will be held at the Limner Gallery from October 19 - November 23, 2013. This exhibition will include all interpretations and portrayals of the human head, from the traditional to the abstract and conceptual. All visions of the head, including partial and multiple heads, will be reviewed and considered. The competition is open to all artists, national and international, working in all media. All forms of painting, drawing, sculpture, photography, graphics, digital and installation art, video, etc. are eligible. Winning artists will be featured in a group exhibition at the Limner Gallery, October 19 - November 23, 2013. The exhibition will also be displayed on the Limner Gallery web site. One artist will be awarded a two page display in Direct Art Volume #21, Fall 2014 issue. Two artists will be awarded a single page display. Deadline is August 31, 2013. Residencies/exhibitions will run between February and December 2014. Applicants from all creative disciplines are welcome to apply. The Telfer Gallery provides a platform for focused experimentation as well as a space for artists to explore and expand their practice. Each selected individual or group will be offered a period of residency in the space preceding an exhibition, which will be arranged in conversation with the committee. To download the application form, visit [www.the-telfer.com] . Portfolio: 5 Jpegs (including the information: title, medium, dimensions, date), or 5 minute film/showreel (links preferred, attachments also accepted), or 500 word additional text. Or a combination, or similar amount in alternative formats. The deadline for submissions is Friday 16 August, 5pm. If posting your application please do not send any original artwork as we cannot ensure it is delivered safely. If you would like your proposal returned please provide a self-addressed envelope. The deadline for individual applicants for the 2014–2015 fellowship year for humanities, social science, and creative arts is October 1, 2013. The deadline for natural science and mathematics is November 1, 2013. The Radcliffe Institute Fellowship Program annually selects and supports 50 leading artists and scholars who have both exceptional promise and demonstrated accomplishments. Fellows focus on individual project while benefiting from a dynamic, multidisciplinary community at Harvard University. Only 5 percent of applicants are selected each year. Fellows—women and men—are at the forefront of the arts, journalism, humanities, sciences, and social sciences. Interested in exploring bold ideas, artistic endeavors, or new research? Visit [https:]] to learn more and to apply. Attracting over 40,000 visitors over the course of five days, attendees to SCOPE are seasoned collectors, curators and tastemakers looking for new discovery. SCOPE Miami Beach opens on Tuesday, December 3, to welcome VIPs and press at its First View benefit, and will run December 4 to 8, 2013. With over 65 art fairs spanning more than a decade, SCOPE is the largest and most global art fair in the world, celebrated as the premier showcase for international emerging contemporary art and multi-disciplinary creative programming. Renowned for its uncanny ability to forecast new visual trends that are embraced globally, SCOPE Art Shows in Miami, Basel, New York, London and the Hamptons have garnered extensive critical acclaim, with sales of over 500 million USD and attendance of over 700,000 visitors. For further information on SCOPE Miami Beach 2013 or to download an Exhibitor Prospectus or Breeder Program Prospectus, please visit www.scope-art.com or contact Sonja Hofstetter at sonja@scope-art.com. Over the weekend I met inspired artists and residency directors from around the world. I not only laid the ground-work for dynamic ...collaborations with artists, academics, and curators to expand and engage with the YAWP collection, but also had unique access to resident directors and representatives that enabled me to refine my own search for a residency. 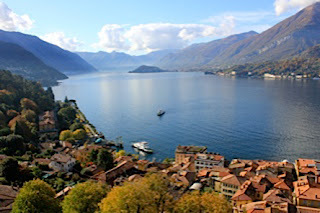 As a direct result of participating in the TCE conference I secured two remarkable residencies – CAMAC - Centre D'Art - Marnay Art Centre, France, and the Rockefeller Foundation’s Bellagio Center in Bellagio, Italy. The inspired and focused time these residencies offered allowed me to formalize YAWP’s curriculum, and greatly increase the access and impact of our program. I am extremely grateful to the TCE for their work and hope to stay a partner for years to come." The Banff Centre's Film & Media Artist-in-Residence program provides a well-supported environment for professional development for artists in digital film and media, audio, research, and photography. Residencies are ideal for individuals and teams who want time and space to create new works, research innovative ideas, and experiment with different techniques and modes of production. Projects in all stages, from experimentation to production and post-production, are welcome. Audio, video, interactive, and research facilities are available to help participants develop all aspects of pre- and post-production for their project. A private studio accessible 24 hours a day, and/or collaborative working spaces are provided. Requests for use of specific Film & Media facilities, including editing stations, digital effects lab, recording studios, music huts, television studios, and research labs will be considered at the time of application. On-campus accommodations and requests for specific room types are subject to availability. The Banff Artist in Residence (BAIR) program in Visual Arts provides time and space for individuals and groups to create new works, research innovative ideas, and experiment with different techniques and modes of production. Participants are provided with an individual studio accessible 24 hours a day, as well as use of Visual Arts facilities including printmaking, papermaking, ceramics, sculpture, and photography. Residency length can vary within the prescribed program dates. All residencies last for a minimum of 12 days. On-campus accommodations and requests for specific room types are subject to availability. The Bicycle Coalition of Greater Philadelphia, in partnership with the City of Philadelphia Office of Arts, Culture and the Creative Economy, is seeking design proposals for bike racks to be installed in Center City Philadelphia, and other potential locations in the city. The deadline for submissions is September 4, 2013. This competition is open to all artists and design professionals. Of the 10 largest cities in the United States, Philadelphia has the most bicycle commuters per capita. In order to support the transportation choices of its citizens, the City has developed a Pedestrian and Bicycle Plan, with the goal of installing 1,500 new bike racks per year for five years. The Office of Arts, Culture and the Creative Economy is collaborating with the Bicycle Coalition on this artist-designed bike rack competition, with the goal of supporting and encouraging bicycling in Philadelphia by providing a creative solution to the need for bicycle parking: bike racks that also function as additions to the city's collection of outdoor public art. By filling out the application form, the curators will explain the conceptual framework of the exhibition proposal as well as the artists and their works in detail. There could be additional activities (for instance: talks or video screenings) that could be incorporated into the exhibition proposal. Application forms must be written in English. Applicants are expected to submit (only electronic copies) the completed application form, CV (maximum two pages) and accompanying visual material for their proposals (maximum 4MB total) by sending emails to icc@akbank.com. Closing date for applications is September 10, 2013, 17h GMT +2. Entries must be previously unpublished, and the proposal must not have been realised or exhibited before. All applicants will be notified of the jury's decision by October, 1, 2013. Deadline: must be received by August 1, 2013 at 3:00 pm. Texas Tech University System is accepting qualifications for artists to create a two-dimensional artwork to be appended to a screen wall outside the Texas Tech University Rawls Golf Course Clubhouse and Team Facility in Lubbock, TX. The budget for this project is $32,000. Selected finalists will receive an honorarium of up to $2000 for travel and design expenses. To apply, visit [esbd.cpa.state.tx.us] . Delfina Foundation (DF) is inviting artists, curators, writers, film makers and other cultural practitioners interested in exploring issues surrounding the politics of food to apply for their first theme-based residency, scheduled to run from mid January to mid April 2014. From Marinetti's Manifesto of Futurist Cooking to Gordon Matta Clark's Food restaurant ,and more recently Michael Rakowitz's Enemy Kitchen, artists have long employed food within their practice and creative process. But beyond the concept of cooking and eating as a performative act, the last decade has witnessed a proliferation of cultural practitioners and artist interrogating the global politics and ethics of food production, distribution and consumption. Moreover, food has also been used by cultural practitioners as a means of understanding complex histories and questioning current issues, from neoliberalism to globalisation. By bringing together practitioners from different creative fields, DF would like to explore how artistic strategies have and can be used to address wide-ranging issues related to food, agriculture, human rights and the environment. DF is particularly interested in practitioners whose work transgresses the boundaries between art and every day life. By creating a focussed environment, DF aims to facilitate collaborative exchange fostering new ideas and projects. DF will support peer-to-peer conversations between residents through a series of informal gatherings and meals, as well as targeted organisational visits and opportunities to engage with artists, academics and researchers interested in the same lines of inquiry. These internal events will be complemented with an external public programme of talks, screenings, dinners and panel discussions presenting the work, ideas and exchanges taking place. For complete details, visit [delfinafoundation.com] . The NMAC Foundation, as part of their program to support young emerging artists, organizes an artistic workshop with international artist Wilfredo Prieto. His "incidences from the private to the public and from the public to the private" workshop will be held at the NMAC Foundation from September 20 to 22, 2013. This workshop, organized together with the General Direction of Promotion of Fine Arts of the Ministry of Education, Culture and Sport, is directed to young emerging artists who would like to be engaged in a dialogue about the creative process, inspiration and production. The workshop, free for all participants, will be based on the exchange of ideas with Wilfredo Prieto, while also functioning as a generator of new ones within the context of the NMAC Foundation. The NMAC Foundation was created as a platform of creativity and production for site-specific projects based on the interaction between its social, cultural and territorial context of cross borders between Africa and Europe. Since 2001, NMAC is committed to supporting contemporary artists on site-specific projects promoting international artists on outdoor ambitious productions. Within the collection indoors and outdoors, one can find works by Adel Abdessemed, Marina Abramovic, Maurizio Cattelan, Olafur Eliasson, Sol Lewitt, Pascale Martine Tayou and James Turrell, among others. Wilfredo Prieto's work is known for its conceptual forcefulness and narrative brevity with no superfluous elements. With a refined sense of humour, one can find in his work an insistent reference to artistic practice, semantic games and a poetry that joins persistence and subtlety in a balanced way. Prieto lives and works between La Havana and New York. He studied at the Instituto Superior de Arte (ISA) in La Havana and was a DUPP Gallery (From a Pedagogical Pragmatism) member, a collective of artists ISA. In 2000, he received with DUPP, UNESCO Prize for the Promotion of the Arts at Seventh Havana Biennial, and in 2006 he was awarded with the John Simon Guggenheim Fellowship, New York (2006). He has done artist residencies at Kadist Art Foundation, Paris (2005) and the Residency Program at Le Grand Café in Saint-Nazaire, France (2007).Subscriptions are due on August 20. To be eligible, participants' applications must be submitted by August 20, 2013. Candidates will be informed of their acceptance via email by September 1st. The program is international and English and Spanish will be used as the working languages. Duration of the Workshops is three full days at the NMAC Foundation. The workshop is free of any charge and lunch will be given to participants for the duration of the program. Accommodation is not provided by the NMAC Foundation. Eligibility: This is a national call. In conjunction with the San Francisco Municipal Transportation Agency (SFMTA), the San Francisco Arts Commission will commission an artist to design an integrated art program for the Van Ness -Bus Rapid Transit line (VN-BRT). The VN-BRT will extend from Market Street to Union Street, and eliminate the Van Ness Avenue sidewalk bus stops. The VN-BRT will create nine boarding stations (18 platforms) between Market and Union streets. There are three major stations expected to have high volume located at Market, McAllister (across from City Hall) and Geary streets. We are looking for an artist or artist team to design a series of architecturally integrated artworks at several above-ground transit stops along a busy thoroughfare in San Francisco. For complete details, visit [www.sfartscommission.org] . Thanks to a recent National Endowment for the Arts grant to expand our demographics, TransCultural Exchange is offering 50, 2-for-1 tickets to artists age 35 or younger or who live 250 miles outside of Boston. (Tickets are $355; $215 for students.) Help us spread the word. Meet renowned curators. Attend Laurie Anderson's keynote performance. Receive feedback from critics and dealers. Learn about international residencies from the people who run them. Join panels on marketing, grant writing and funding your work. Tour museums, MIT's Art and Architecture Program and other local attractions. Engage. Network. Shake up your world. Frans Masereel Centrum is a Flemish centre for Graphic Art founded in 1972. It offers residencies and a work place to graphic designers, artists and critics who want to work with intaglio, relief printing, screen print or lithography, or who want to investigate the relationship of graphics with other visual arts. The centre focuses mainly on creation rather than on reproduction and wants to stimulate new graphic practices in contemporary arts. It is a platform for the public, the artist and his/her work. Frans Masereel Centrum also organizes different graphic projects like exhibitions, open portfolio sessions, print related presentations, etc. They offer a number of residency programs, including a general residency (4–6 weeks), essay residency (one month), Research residency (two months), and a school residency (1–2 weeks in February-March, application deadline each year in June). Application deadline is August 1st, 2013. Visit [fransmasereelcentrum.be] for complete details. Beginning March, 2014, Willapa Bay AiR will launch its inaugural residency program on 16 acres in coastal southwest Washington State, offering month-long, self-directed residencies to emerging and established artists, writers, musicians and scholars. The Residency provides lodging, meals, and work space, at no cost, to five residents each month, from March 1 through October 31 of the year. Willapa Bay AiR is situated near the hamlet of Oysterville, Washington. Open to US and non-US artists. Applicants must be over the age of 18 and not currently enrolled as a student in an academic program. Application deadline is August 31, 2013. There are no fees. Lodging, work space, and meals at Willapa Bay AiR are provided without charge. Residents are, however, responsible for transportation costs to and from the Residency. Willapa Bay requires accepted applicants to pay a $100 deposit when they confirm their residency, and this deposit will be refunded upon arrival. (drawing, painting, sculpture, architecture, ceramics, photography, printmaking, design, multimedia, video, installation as well as writers) for residencies of 1 to 6 months. Artists are selected on the quality of their residency proposal, it's relevance to DRAW's philosophy and environment and evidence of previous artistic work. The residency program runs throughout the year and they are happy to provide documentation to support applications for funding a residency program. The center organises events (exhibitions, open workshops and seminars/presentations to promote it's activities and share creative experience and opportunities within the public domain. For more information, please visit [www.draw-international.com] . Electricity is Magic (EiM) was founded in 2009 by Eric Powell and Matt Griffin, primarily as a vehicle to release their own experimental electronic and electroacoustic music. Quickly, however, it grew to be a curatorial project, and, since late 2009, EiM have been putting on art and performance events throughout North America. EiM has expanded and will be presenting gallery shows at its (semi-)permanent home at the EiM Gallery, located at 715 Richmond St. W. in Toronto, ON. The aim of the gallery space is to continue to present works that don’t necessarily fit comfortably within a traditional gallery context. Artists will be given the challenge of presenting work which engages with or reacts to the living space of the apartment. They are particularly interested in work which employs some aspect of technological mediation, but not necessarily as the impetus for the piece. They are also interested in slow art, which not only requests, but often demands, and always reminds us of the pleasure in sustained viewing of a particular work. Call for works is ongoing and they invite submissions from individual artists, collectives, or curators to submit proposals for the EiM Gallery. Their space is non-traditional, and as such, they have some unique parameters for artists to contend with. For more information, visit [www.electricityismagic.com] . Piemonte Share is announcing a new edition of the Share Prize, the international competition designed to discover, promote and support art in the digital age. Entries for the Share Prize can be submitted from June 20-August 20, 2013, by completing the entry form on their website: www.toshare.it. This year, Share Festival will be shining the spotlight on how communications have become simultaneous and geolocalized in contemporary cities, sharpening its focus and critique onto the integration of digital networks in the urban environment. Share Festival sees artists not just as aesthetic messengers but as social agents, who use networks to change the way we think about media and relational space. "The artistic realm is overlapped with the physical, urban world to explore a new dimension in which art can redirect the social and political leanings of networks, communities and artists into performances. Instead of taking humans into virtual space, digital technology has enhanced the way we interact with others and with the physical world. Today, the map is no longer a representation of the territory; rather, it incorporates it. How do people shape, and how are they shaped by, the integrated platform created between data and location?" An international jury will short-list six projects for the prize, who will be selected to take part in the 9th Share Festival, to be held in Torino from November 8-17, 2013, at the Regional Museum of Natural Science. The names of the short-listed finalists will be announced by the beginning of September 2013. Three Braunschweig PROJECTS Scholarships are available for artists of Sound Art. And five Braunschweig PROJECTS Scholarships for artists of Fine Arts are also available. These scholarships are part of the promotion programme for artists of the Braunschweig University of Art and the State of Lower Saxony. This programme is aimed at young artists who are interested in working intensively on artistic projects in the close environment of an art university. For more information and the application, please visit www.hbk-bs.de. The application deadline is July 31, 2013 (date of receipt by mail). Residents will be chosen by a specialist jury by July 22nd, 2013. To follow on from previous activities at the Chapel, to create a site-specific project with the theme of Nečtiny Chapel’s Transformation. The MacArthur Foundation supports the production and distribution of social-issue documentary films that address important contemporary topics and are intended for a broad audience, particularly in the United States. The program seeks to fund documentary projects that address the significant social challenges of our time or explore important but under-reported topics. Domestic and international topics are welcome, and preference will be given to projects that align with one of MacArthur's grantmaking areas. Support will be provided primarily for production and post-production activities, and to experienced filmmakers based in the U.S. with track records of completing feature-length films that have been broadcast nationally and internationally and received critical recognition. Grants will be made only to eligible organizations. MacArthur does not make grants to individuals and does not make grants through fiscal agents or sponsors. In order to qualify for a MacArthur grant, a project must be applied for through a nonprofit or for-profit incorporated entity that can claim it has complete financial and editorial control over the documentary film project for which it is seeking MacArthur support. Applicants may request any funding amount, but the typical grant range is between $50,000 and $200,000. For the current round, initial online proposals will be accepted between July 15 and July 31, 2013. If a project is selected as a semi-finalist, the applicant will be notified by September 1 and asked to submit a full proposal and detailed budget. Funding decisions are expected in November. Visit [www.macfound.org] for complete program guidelines, application instructions, and the online grant proposals form. Proposal Deadline: September 1, 2014Project Anywhere is an expanded exhibition model encompassing the entire globe (and beyond) in which the role of curator is replaced with the type of peer review model typically endorsed by a refereed journal. Emphasizing artistic projects situated outside conventional exhibition contexts, Project Anywhere is dedicated to the promotion of advanced artistic practice at the outermost limits of location-specificity. Project Anywhere endorses a two-stage peer review system comparable with the journal-based paradigm for assessing the quality of research outcomes in the arts. Accordingly, Project Anywhere is designed to suit artist academics working anywhere in the world who are seeking independent peer validation and international web-based dissemination for practice-based research. Please send proposals (as an attachment) to projectanywhere@gmail.com. 1. Title of proposed project. 2. Location(s), date(s) and duration for proposed project (this can be updated later). 3. A detailed project proposal clearly stating the project's potential for creating new knowledge (please refer to the peer review guidelines at www.projectanywhere.net). 4. Images, files (under 8mg in total) and links can be included where appropriate. To be eligible for the first stage of our peer review process, it is imperative that ALL name and contact details are removed from the actual proposal document (and accompanying materials). Contact details should be included in the body of the email only. Any submissions that do not conform to the above criteria will NOT be sent out for peer review. Please note that Project Anywhere does not provide project funding nor expect exclusive hosting rights. Accordingly, we welcome multi-partnered and collaborative projects and/or projects that are hosted by other arts institutions seeking blind peer-validation. For more information visit www.projectanywhere.net. The renewed Van Eyck Academie creates space for connections and stimulates your desire to venture into the world. At the Van Eyck you work on individual projects and engage in the Mirror Labs of the institute. You develop your talents and establish collaborations in the self-managed In-Labs, you collectively set up the programme, you initiate and activate. You know that what you make will acquire its true meaning through the time that surrounds it—the other half. The Van Eyck offers advisors, labs, courses, lectures, projects, presentations, workspaces, gardens, opportunities, possibilities. The Van Eyck is looking for artists, designers, writers, curators, and critics in the fields of fine art and design who want to seize the possibilities and engage in the activities on offer. You are invited to apply for a working period at Van Eyck—Multiform institute for fine art and design. To learn more, visit www.janvaneyck.nl. An award-winning exhibitions venue, research centre, library and sculpture archive, the Institute hosts a year-round programme of exhibitions, conferences, lectures, research, and publications that aim to expand the understanding and scholarship of historical and contemporary sculpture. The Institute invites applications for a two-year fellowship, beginning in autumn 2013. Based at the Henry Moore Institute in Leeds, the Post-doctoral Fellow's research focus should be pre-twentieth-century sculpture, paying particular attention to the ways in which history is engaged with in the present. The Post-doctoral Research Fellowship is funded by The Henry Moore Foundation's Grants Programme and will receive a grant of 21,000 GBP per annum over the two-year period, payable quarterly. This grant is to cover living and all research-associated expenses. For non-EU citizens, the Fellow must apply for a UK work visa on receipt of their certificate of sponsor number which will be provided by the Henry Moore Foundation. For more information and to apply, visit www.henry-moore.org. McColl Center’s artist-in-residency program facility is a historic, neo-Gothic church in Uptown Charlotte. The Center's goal is to present art and artists in a way that engages and enriches the public while revealing the creative process through open studios, outreaches, community projects, exhibitions and educational programs. Emerging, mid-career, and established visual artists may apply. Artists receive a stipend of $3,300 and a materials budget of $2,000. Visit www.mccollcenter.org to learn more and to apply. Up to eight Fellowships will be awarded in 2014 for US-based dancers and choreographers (in partnership with Dance/USA Philadelphia). Individuals may apply as well as small ensembles of up to three dancers. The Fellowships will include airfare, studio, room and board for eight-week residency sessions at Sacatar's seaside estate in Itaparica, Bahia, Brazil. Two of the residency sessions in 2014 will provide the opportunity for the Dance Fellows to perform at dance festivals in the surrounding region. NOTE: In September 2013 they will announce the application deadline for UNESCO/Aschberg bursaries to Sacatar and for the Fellowships offered in conjunction with the Cultural Exchange International Program of the Los Angeles Department of Cultural Affairs. For further details and to apply, visit: www.sacatar.org. Akiyoshidai International Art Village Residence Support Program: trans_2013-2014 provides a time and place for artists to experience new encounters and carry out experiments to guide their projects. Participating artists are expected to bring new ideas to the local culture and people while they, in turn, will hopefully acquire new perspectives through these fresh encounters. As a result of the residence program, the artists will convey their new experiences, gathered from the local lifestyle and our particular geographic situation, to their next destination. Akiyoshidai International Art Village aims to become a space for artists to go beyond cultural borders and expand their outlooks, exchange their unique understandings and establish relationships with fellow artists. The program's prefix, 'trans', means to go beyond, get across, cross, exchange, change and convert which is symbolic of the experience. The theme for the 2013-2014 program is "the features of this land". Residency period is January 19 – March 14, 2014. Deadline to apply is July 31, 2013. Akiyoshidai International Art Village, designed by the architect, Arata Isozaki, was founded in 1998 with the aim of providing a platform for artists in residence as well as for a variety of art forms and cultural activities. AIAV's main hall has a capacity of approximately 300 and its residence hall can house 100, and the village also features a restaurant, seminar room, studios, gallery, and café. Visit www.aiav.jp to learn more and to apply. Willapa Bay AiR announces the launch of its inaugural program, offering month-long, self-directed residencies at no cost to emerging and established writers, artists, musicians, composers, and scholars. Willapa Bay AiR is situated on 16 acres in coastal southwest Washington State, along Willapa Bay (considered one of the most pristine estuaries in North America)! Five residents will be provided with lodging in individual cottages, chef-prepared meals, and private work space during each month of the residency season (March 1 through October 31). Applications can be individual artists or groups in any medium, and works can be existing works or new projects. Artists can make up to 2 proposals and there is a submission fee of €20 for 1 proposal or €30 for 2 proposals. eva International is a not-for-profit organization where submission fees support selected artists and contribute directly to artists' production, travel, accommodation, transportation and exhibition budgets. Visual artists in all media and all styles are encouraged to apply for residencies of two weeks to one month on on the pastoral grounds of Weir Farm National Historic Site. The Weir Farm Art Center’s program provides living and studio space for one artist at a time, although two artists working collaboratively may reside together. The residence is located in a charming 1,100 sq. ft. historic cottage, built in the mid 1800s and located on the Weir Farm site. A large recently completed separate studio just a few steps from the residence is equipped with a professional easel, several large and small tables, and a variety of hand tools. Printmakers may rent off-site facilities through an affiliation with the Center for Contemporary Printmaking in Norwalk, CT. The cottage is comfortably furnished with linens, wired and wireless internet, and a fully equipped kitchen. Having a car is extremely helpful although it is not a necessity. The Contemporary Arts International Artist in Residency program was designed to encourage and assist artists to realize new projects and ideas. The program is open to working 3D and multidisciplinary artists who want to experience living and working in a special New England art environment. Artist residencies typically last between two and seven months. This year CAI will host the first Container Man Expo Musicians-in-Residency Program. Three musicians will be invited to create a composition using the Container Man - a 40 foot shipping container consisting of 14 large music instruments, sound system and multi-media capabilities. Food, housing and studio space provided. Call for EntriesLast year, the VIEW AWARD brought forth some astonishingly talented animators into the public and industry spotlight. The 2013 contest has a broader scope with new themes, new subjects and new contestants. As the last few years, VIEW will include both students and non-students works. Deadline for entries is September 15, 2013. Three month artist-in-residence program for Fall 2013 (September 23 – December 16, 2013). The program is open for artists who work and/or have academic experience in the fields of fine arts, photography, visual and media art. Residency guests work together in studios with local artists. Studios das weisse haus organizes events and activities, like Open Studio Days, and provides residents with guides, studio visits, and admittance to various events that introduce the residents to local institutions, exhibitions spaces and projects, and connects them with artists, curators and other creative practitioners. At the end of the residency there will be a variety of opportunities for the residents to present their work. The real estate company, LIV GmbH, has generously provided the location with the condition that the resident artists contribute one work of art to the company. - A monthly allowance of 300,- Euros to cover basic living costs (they recommend you to seek additional funding options). - The artist in residence will receive once 100,- Euro to cover production expenses for the residence project. - Cover of traveling expenses of residents coming from a country within Europe up to 200,- Euro, for residents coming from any country outside of Europe up to 400,- Euro. - A bedroom in a shared apartment (a shared kitchen and bathroom) to live and a studio space in a shared studio (with our local artists and other residents) to work. Rent is covered by studios das weisse haus. Artists, historians, sociologists, citizens, theorists and experts are invited to propose art-research projects in the field of visual, media arts and film, theory, history, cultural heritage, ethnography and sociology which will correspond to the topic of smuggling with a documentary-fictional and practical-theoretical approach. The project advocates interdisciplinary approach to the topic through the proposals which can be: artworks, lectures, theoretical texts, archive-documentary materials, with an accent on the interdisciplinary. Application deadline: Call for entries must be submitted by June 30th, 2013. The Exhibition and symposium will be held in the period of Oct. 22 to Dec. 4, 2013 at the Museum of Modern and Contemporary Art in Rijeka. Rejmyre Art LAB announces a two-year residency program, beginning with an initial research visit in 2013 and culminating with a follow-up residency and public project in 2014. Application deadline is June 20. Rejmyre Art LAB is an artist-run organization and a long-term, place-based research project that creates spaces for making, reflection and intensive exchange. Activities include an international artist residency program, intensive post-graduate student workshops, a platform for experimental and conceptual glass projects in the Reijmyre Glasbruk, public seminars and an annual program of installations and interventions in and around the town of Rejmyre. Rejmyre Art LAB's residency program is run and constructed by artists in response to their own needs and changing modes of production. In the past Rejmyre Art LAB has referred to their residencies as 'hand built' to connote the sense of responsibility each resident takes for shaping the structure of the residency itself. While many residency programs are rooted in notions of isolation, their emphasis is placed on engaging the local context of each residency as fuel and material for artistic development. Art LAB aims to support a wide range of contemporary artistic processes. Participants in theprogram create conceptual propositions, objects, and temporal works situated in public and private spaces. To support this range of work, they craft and maintain a network of local connections to facilitate social access and a mix of public and private studio spaces. To apply, send a short bio, a one-paragraph statement of interest, and a link to work samples to info@artlabprojects.org. Rejmyre Art LAB, through a collaboration with IASPIS [International Artist Studio Program in Sweden], provides selected artists with: RT travel from home country; accommodation; stipend for the residency period; funding for a prior research visit. Visit www.rejmyreartlab.org to learn more. Call for Submissions Pilchuck Glass School's Annual Auction is one of Seattle's premier fundraising events attended by over 700 high profile patrons, artists, and community leaders from the Northwest and nationwide. It is a leading showcase for glass created by artists from around the world. In its 35th year, the event features more than 350 artworks and funds raised support the school's dynamic educational programs. New this year, Pilchuck will showcase a new jewelry section in the Silent Auction and are also accepting works from jewerly artists. Join their community of supporters by donating to the 35th Annual Auction Gala on October 18, 2013. July 12- Deadline for donations July 24- Auction Jury October 17- Pilchuck on Display (preview night)October 18- Annual Auction Gala To donate/apply: [www.pilchuck.com] TransCultural Exchange is not responsible for the content of listings in the Opportunities section. All postings are subject to review; inappropriate submissions will not be published. The Vermont Studio Center's Fellowship applications deadline is approaching. There are a number of Fellowship progams available to apply for. Visit www.vermontstudiocenter.org/apply, or vsc.slideroom.com to apply. Applications are due by June 15th, 2013. In addition, each month, the Vermont Studio Center hosts a diverse international community of 50 artists and writers for 2- to 12-week residencies. Residencies at the Vermont Studio Center are offered based on a review of the portfolio or manuscript submitted by each applicant. While application for residency may be submitted at any time, applicants who wish to be considered for a fellowship must submit their application by one of the three annual fellowship deadlines. Fellowship applications are reviewed by a revolving jury of VSC visiting artists and writers and are based on merit as seen by the jury. The Vermont Studio Center welcomes applicants representing the full range of aesthetic perspectives and cultural backgrounds. Artist Residency Program in Sound and Intermedia Arts for 2014 in Montemuro, Arada and Gralheira Mountain Ranges (Portugal) in April and October 2014. This residency is organized by Binaural/Nodar, in partnership with Audiolab.org (Basque Country), and Tramontana Network of Memory Archives from Southern Europe. Deadline is October 31, 2013. Binaural/Nodar’s artist resdiency program in sound and intermedia arts for 2014 wil focus on the ancestral and contemporary aspects of mobility in the rural areas of Montemuro, Arada and Gralheira mountains trying, by hosting artists’ field work together with communities and landscapes and innovative uses of audiovisual technologies, and interactive communication, to contribute to the debate on the new directions of rural mobility. For complete details and to apply, visit: [binauralmedia.org] . Call for ProposalsFor an exhibition at La Compagnie in Marseille, from December 13, 2013 to March 1st, 2014. The curator and the artistic and scientific committee are looking for various proposals (artworks, webart, photo, video, testimonies, documentaries, video games, etc) expressing different ways to experience borders. The antiAtlas of borders is a transdisciplinary event that will take place between September, 30, 2013 and March, 1st, 2014. Bypassing cartography, at the crossroads of research and art, it offers a new approach of the mutations of borders and on the way they are experienced by people in the 21st century. Atlantic Center for the Arts is a nonprofit interdisciplinary artists' community and arts education facility dedicated to promoting artistic excellence by providing talented artists an opportunitiy to work and collaborate with some of the world's most distinguished contemporaty artists in the fields of music composition, visual, literary and performing arts. Community interaction is coordinated through on-site and outreach presentations, workshops and exhibitions. A $6,000 honorarium, $2,000 for living expenses and $2,000 for materials are provided. Community artists are expected to develop a project that will engage the community and leave a positive, lasting impact. The Harpo Foundation’s Emerging Artist Fellowship at the Santa Fe Art Institute (SFAI) was established in 2013 to provide an annual opportunity to an emerging visual artist 25 years and older who needs time and space to explore ideas and start new projects. Artist Fellows will receive a one-month residency at the Santa Fe Art Institute, which includes a handsomely appointed room with private bath, a beautiful, well-lit studio space, and a $500 travel stipend. Founded in 1985, the Santa Fe Art Institute (SFAI) provides a unique opportunity for emerging artists to pursue creative projects without interruption. SFAI supports over 50 residents per year and offers a cohesive, arts-focused environment that creates the ideal working conditions for resident artists. Living and studio space is located within a nearly 17,000 square foot complex designed by renowned Mexican architect, Ricardo Legoretta. The unique SFAI environment allows residents to be as interactive or private as they wish. There are no requirements on the work produced during their time at SFAI. One Fellowship is awarded annually to an emerging artist who demonstrates strong artistic ability and promise, and an evolving practice this is at a pivotal moment in its development. The annual application deadline is July 5. Artists must apply online. To find out more about this opportunity, please contact Residency Director Katie Avery at (505) 424-5050 or residencies@sfai.org at the Santa Fe Art Institute. Now accepting applications for two month residencies funded through Fondation Ténot. Three residencies will be awarded this year to one visual artist, one writer and one musician or composer. CAMAC is located 60 minutes away from Paris in the village of Marnay sur Seine, as a multi-disciplinary creative centre it offers a unique environment for visual artist, writers or musicians. Residency includes return ticket, private lodging and meals, as well as an individual studio. The fellow must provide his/her own visas and health insurance. To learn more, visit [www.artandeducation.net] . Located in a dynamic cultural center, the N & G Global Exchange Center Residency invites visual artists from all over the world to exchange ideas and experience Chinese cultures. The residency offers diverse opportunities to connect to the everyday life of local citizens and with the Chinese art community and art enthusiasts. Artists are provided with studio space and accommadations and connected with a network of artists residence programs in Shanghai, Yantai and other parts of China. For details and to apply, visit [global-chinaprinting.com] . The Lanesboro Residency Program provides an opportunity for emerging artists to create new work and explore new ideas while engaging with the community through their artwork. The program offers lodging, studio space, project and community facilitation, and a stipend. Each residency ranges from 2-4 weeks. Lanesboro Arts Center welcomes all domestic and international artists to apply. Residency for emerging and mid-career artists in all disciplines including all visual arts, literature and music. On July 12th, the French Cultural Center's 38th Bastille Day Party returns to Marlborough Street for what promises to be the celebration of the summer! This year's line-up, programmed by World Music/CRASHarts, Inc., will feature two exceptional francophone acts: Atlas Soul, whose music blends spicy hot Afro-Mediterranean grooves and melodies with a generous dose of jazz, funk and rock and Madame Moustache, a country-rock band hailing from Québec whose entertaining music is marked by humor and folly, seducing the most eclectic audiences. Be among the 2,000 revelers dancing in the street in true French style with live music and celebrate freedom, community, cultural diversity, and friendship between nations! From 6pm to 11pm More info: [www.frenchculturalcenter.org] Purchase tickets: [www.worldmusic.org] OR by calling the French cultural Center at 617.912.0400 TransCultural Exchange is not responsible for the content of listings in the Opportunities section. All postings are subject to review; inappropriate submissions will not be published. This scholarship consists of three parts: A challenge cup, 10 days of accommodation in Cimochowizna (Poland) including journey, and a sum of money in cash. The prize winner receives the money that is raised until September 30, 2013 and you can keep tabs on the amount raised here: www.award.szpilman.de/jackpot. For all information and the application, visit www.award.szpilman.de. New Berlin, New York 13411 TransCultural Exchange is not responsible for the content of listings in the Opportunities section. All postings are subject to review; inappropriate submissions will not be published. RUPERT is an educational exhibition center devoted to establishing close cooperation between artists, thinkers, researchers, and other cultural actors through interdisciplinary programs and residencies.A knowledge-based platform for innovative creative production, RUPERT integrates with the social and cultural framework of the city of Vilnius while simultaneously supporting a strong international focus. Visit RUPERT's website ( [www.rupert.lt] ) to find application guidelines for the educational and residency programs. All applicants must submit a proposal of a project idea to develop throughout the duration of each program. This description should outline the project concept and include the name of an artist or thinker whom the applicant would ideally study under, along with a CV, cover letter describing artistic motivation, and a portfolio consisting of a maximum of five works. Selection is not based on applicants' academic or professional backgrounds. Gallery 263 is currently accepting applications for the Summer 2013 Artist Residence Program. Gallery 263's Artist Residence Program is ideal for those whose creative practice embraces collaborative projects, community engagement, or are open to sharing space with other artists. Their first-floor storefront space allows for the artistic process to be on view for the neighborhood, investing the gallery’s local audience with a stake in the process, not just the product, of art making. This is a work only residence, and preference will be given to emerging artist living in the Metro-Boston area. However, all artists are welcome to apply. Artists coming from outside the region must secure local housing on their own. HMK is an artist-run residency offering research and project residencies for individuals or groups (max 4), and invites artists, curators and researchers to submit proposals for our 2014 residency and exhibition program. HMK is located in Hoorn, the Netherlands. HMK offers artists a stay in a concentrated work space, where dialogue and collaboration inform experimental, context/based exhibitions and projects. The programme involves artists and curators working in a wide range of media, mainly focusing on installation and context based work and video. For further information and to apply, visit [www.hotelmariakapel.nl] . All applications must be received by 12PM (noon) on June 28, 2013. Applicants will be informed of their application status by August 16, 2013. The 5-month residency will begin in mid to late September (negotiable start date) of 2013 and run through February of 2014. The resident will receive a $5,000 stipend to be paid out over the course of the residency in connection with the achievement of specific milestones. Public Knowledge and Eyebeam are seeking applications from artists, engineers, designers, curators, and creative technologists interested in being the inaugural resident in our joint residency program. The purpose of the Public Knowledge/Eyebeam Artist Residency is to make policy issues more engaging . Selection will be based on the quality of the proposal, including demonstrable success in previous development of related work at this scale. At the end of the residency, the resident would be expected to produce a new work at Eyebeam that integrates a physical element (including but not limited to open hardware, 3D printing, or other digital technologies) with an internet-based presence (presentation, documentation, and explanation using pertinent online technologies). The work should have a clear relationship to any of Public Knowledge’s many issue areas. This explanation or relevancy need not be literal. Public Knowledge is not necessarily looking for a work that will directly teach issues. Rather, the goal of the program is to create a new work that raises awareness of an issue with the wider public, and compels people to investigate the issue further. The selected resident will be expected to participate in an initial 2-week orientation and familiarization process at Public Knowledge’s Washington, D.C. offices, and then remain in regular contact with Public Knowledge while working at Eyebeam. The resident will be given working space at Eyebeam’s Chelsea, New York City space and have 24/7 access to Eyebeam’s facilities and equipment. The resident will also be expected to take part in Eyebeam’s weekly residents & fellows meetings, monthly “Stop Work” critique sessions, and annual Exhibition of artists’ work, and play an active role in the Eyebeam community. For complete details and to apply, visit [www.eyebeam.org] . Media/Genre, etc: Open to all traditional and non-traditional genre and media. Manifest sets out to survey, locate, exhibit, and document excellent quality amongst all types of art. Manifest's record of showing a broad mix speaks for itself. If it's good, they want to see it, and if possible show it. Visit [www.manifestgallery.org] to learn more and apply. Located in the Asia Pacific, this Congress will consider key themes which demonstrate artistic diversity and celebrate the innovations of the present against the backdrop of the past. The growth of a contemporary art in many nations throughout Asia will be a major theme, as will the revived awareness of traditional and indigenous cultures throughout the Pacific region. Particular emphasis will be placed on Australian Indigenous culture and its emergence as an international art force and the creative potential offered by the multiple visual resources resulting from migration and the multicultural community. Kennedy Center Internships provide hands-on experience for aspiring arts managers at one of the largest and busiest performing arts centers in the world. Internships are full-time (40 hours per week), or part-time (20-30 hours per week), unpaid opportunities that can complement a student’s current program of study or other employment. Interns receive complimentary tickets to Kennedy Center performances during the Internship (subject to availability), and/or academic credit for their college or university upon request. Please visit [www.kennedy-center.org] for additional information and application instructions. Program dates are September 9 – December 13, 2013. The application deadline is June 7, 2013. Call for Applications Künstlerhaus Schloss Balmoral (Bad Ems) is accepting applications for residential fellowships for visual artists and also a curator fellowship opportunity available for a junior academic graduate. For international visual artists in the medium of painting, there are two 3-month Balmoral residential fellowshipsor four 9-month Balmoral residential fellowships. The focus of artistic work for the residential fellowships for 2014 must be on the medium of painting, whereby painting does not necessarily mean just paint on canvas. Formal and conceptual exploration of the limits and possibilities of the genre are also welcome. International artist-in-residency programme "project room @ aquarium"
In 2014, Casino Luxembourg - Forum d'art contemporain will host the next edition of project room @ aquarium, an artist-in-residency programme based in the so-called "Aquarium", a 175 sqm steel and glass pavilion. This international residency programme is welcoming proposals taking full advantage of the place's very specific architecture, as well as applications aiming to stimulate exchange and debate in relation with the local context and socio-cultural issues in Luxembourg. project room @ aquarium forms an integral part of the Casino Luxembourg's agenda of exhibitions and events. The participants' project will be exhibited over a period of 6 weeks at the end of the residency and documented in a publication. Deadline for applications: 13 May 2013 at midnight (GMT+1). Two-month residency in 2014 (dates to be arranged by mutual agreement between the artist and the institution); return ticket, board and lodging; private bedroom with bathroom, individual studio. The laureate must provide his/her own visas and health insurance. Download the application form on www.camac.org and send your application package before June 30, 2013(postmarked). Call for SubmissionsThe Journal for Artistic Research (JAR) is a peer-reviewed journal, publishing original research from artists of all disciplines. Published twice a year, with currently three issues accessible online, the journal is unique in its field, marrying the rich-media and social networking capabilities of online publishing to peer-review and scholarly rigour. JAR invites original submissions for future issues from artists worldwide, with or without academic affiliation. The journal is open to submission from all artists who wish to reflect on and expose artistic practice as research, who are interested in exchanging ideas and processes with a group of engaged peers and thus willing to contribute to the ongoing debate about research in the arts. JAR is open to all possible approaches to the publication of research, including those that use little or no text. JAR is a free, open-access resource, with an international readership and a growing pool of renowned artistic and academic reviewers. The journal's issues are non-thematic and submissions are considered by an experienced editorial board, in a rolling fashion, as they are submitted. JAR is published by the Society for Artistic Research. For more details and submit, visit www.jar-online.net. IHEAP is open to all those who have an interest in singular and extreme practices which currently and sporadically appear in the art world and elsewhere. IHEAP is for those who want to change their artistic practice or professional activity, for those who after several years of art school want to break free of alienated learning, who expect more from a school than a framework for artistic production, for those who reject art as it is commonly practiced, and finally for those who wish to work on essential issues in intimate and experimental conditions. The course of study is completed in two years (application for Session 2013-2015). The first year is composed of sessions work that mix practice and theorie. The second year is dedicated to the creation of an activity report. Its purpose is to demonstrate the development of the participant's research. The development of this document will be carefully followed by IHEAP's staff. IHEAP does not discriminate by age and no specific diploma is required to apply. Study at Iheap is equivalent to a post-graduate degree. The application fee is 75 euros. Tuition is 2800 euros for two years studies. Candidates must send complete form application online to IHEAP before May 30, 2013 and provide a text limited to 10,000 characters, explaining why they want to study at IHEAP. In place of the text they can attach a recording of 10 minutes maximum (MP3, 8Mo maximum). Candidates’ applications will be examined by a jury. After the candidates’s application have been examined by a jury, applicants will be advised of results by e-mail. Pre-admitted candidates will be individually interviewed by the selection panel, on either June 20 and 28, 2013. Pre-admitted candidates will be invited to take the entrance exam, which consists in an interview with a selection panel. The candidate must present his or her work process to a jury that will interview him or her regarding work, interests and reasons for attending the Institut des hautes études en arts plastiques (IHEAP). Admissions are made based on quality of motivation and limitation of available places. Incomplete application folders will not be considered. The 5th ICTVC Conference will take place in Nicosia, Cyprusfrom June 4-12, 2013, and LesYperYper invites creative people from all over the world to submit original mail artwork relevant to the conference theme “Against Lethe”. All artwork must be able to be mailed (printmaking, postcards, visual poetry, stickers, collage, poetry, textile, photo, painting, original drawing, mixed media, or a short story). All participants must agree to the reproduction of their work in printed brochures or other material produced for educational purposes. To facilitate the online gallery publication, please send a digital capture of the work by e-mail to mailart@ictvc.org (high quality, 300dpi jpeg) as well as physically shipped. The printed version will be sent selectively to various libraries, institutes, galleries and the pdf version will be available on the internet for free. All works received shall be submitted to a selection process by a jury composed of ICTVC and LYY members. No prizes will be awarded; however, the ten highest ranking submissions by students will qualify for free tickets to the full ICTVC schedule in June (workshops, events and the main conference). Successful entrants shall be notified via e-mail. The works submitted will not be returned and become the collection of the LesYperYper archive. No work will be for sale but may be exhibited from time to time in public galleries to promote cultural awareness. A maximum of 2 works can be submitted. Participants should provide their full name, address, nationality, email, and website, if available. The Plato Sanat Residence Program will host artists for 6 weeks, giving them the opportunity for artistic research and production in a professional environment. The Plato Sanat Residence Program is thematic. Each year, an overall topic of research will be given. The artistic research and production done during the participation in the program shall contribute to ongoing urgent discussions concerning contemporary urban life in Istanbul. Artists are expected to research urban regeneration of the area, including the social and historical diversity and integrate urban structure and architectural, socio-political, and other social features into their production. For further information on this opportunity, visit: www.platosanat.org.tr. For the third year, the Canadian Centre for Architecture (CCA) launches two curatorial opportunities beginning in Fall 2013: the Young Curator Program and the Curatorial Internships Program. The Young Curator Program offers the opportunity to propose and curate a project on the contemporary debate in architecture, urbanism, and landscape design during a residency of three months at the CCA. Architects, journalists, designers, critics, historians and practitioners in any other relevant field born on or after 1 January 1978 are eligible. With the generous support of the Power Corporation of Canada, the Curatorial Internships Program encourages students and recent graduates in design disciplines, arts and humanities born on or after January 1, 1983 to become acquainted with the CCA's collection, exhibition, and research programs through an internship of six to nine months in Montréal. The call for applications for both the Young Curator Program and the Curatorial Internships Program will remain open until April 15, 2013, with the residency and internship beginning in fall 2013. For more information on the application guidelines please visit cca.qc.ca/curatorialopportunities. Call for Submissions OneWorld Classrooms, an educational nonprofit based in Boston, MA, USAinvites all schools and youth groups to participate in its upcoming K-12 Global Art Exchange (ages 6-18). Since 2009, over 15,000 students from 54 countries have directly participated in the program and another 150,000 students have seen the program's art displays in their schools. It is easy to participate: For each exchange, participants mail 25 pieces of student artwork OneWorld Classrooms in the US; and OneWorld Classrooms sends back 25 pieces of artwork created by students from a variety of world regions. (For each exchange, participants receive a package of student artwork from 6-12 different countries.) Participation is free for schools/programs in most countries. In cases of special need, postage costs are reimbursed. To participate, register as soon as possible and mail your artwork so it arrives before May 1st, 2013. Schools/programs may register online at [www.oneworldclassrooms.org] or send an Email to alice@oneworldclassrooms.orgto initiate the registration process. Upon registration, OneWorld Classrooms sends participants a registration confirmation and specific participation guidelines. Phone and Email support are available. General information is available online at [www.oneworldclassrooms.org] . TransCultural Exchange is not responsible for the content of listings in the Opportunities section. All postings are subject to review; inappropriate submissions will not be published. Open Call For Applications Deadline: April 15 The Bogliasco Foundation administers a residential Fellowship program on the Italian Riviera in Bogliasco, Italy, for artists and scholars working in all of the humanistic disciplines: Archaeology, Architecture/Landscape Architecture, Classics, Dance, Film/Video, History, Literature, Music, Philosophy, Theater and Visual Arts. Approximately 50 Fellowships are awarded per year, and since 1996, the Foundation has welcomed more than 700 Fellows who have traveled from 40 countries to work at the Liguria Study Center. Full room and board is provided, along with a private work studio. Fellows are welcome to bring their spouses and partners if they wish. On average, there are 14-16 Fellows individuals in residence together, and a formal, communal dinner is served every evening. The upcoming deadline for the submission of applications is April 15, 2013, for the winter-spring semester beginning in February 2014. For complete program information and application procedures, please visit the Bogliasco Foundation's website at www.bfny.org. An international panel of judges from both the art and peace-building disciplines assesses submissions for the Artraker Award. They look for experimentation and engagement, audacity, change and capacity to inspire. The final prize of (GBP) 2,500 is awarded to the winning submission in London each year on 21 September (International Peace Day). The Fund welcomes submissions from artists of all nationalities and at any stage of their careers. TransCultural Exchange is not responsible for the content of listings in the Opportunities section. All postings are subject to review; inappropriate submissions will not be published. I-Park's signature Environmental Art Biennale, the fourth in a series, will happen on September 21, 2013, preceded by a 3-week onsite residency. I-Park is soliciting ephemeral, site-specific projects from the following disciplines: environmental sculpture/installation, architecture, music composition/sound sculpture, the language arts, landscape/garden design, performance art, photography/moving image and inter-disciplinary practice. For those proposing in the architecture and landscape/garden design disciplines, paper projects will be considered. A $2,000 prize and travel reimbursement will be awarded to the top 12-15 applicants. International participation and group collaborations are welcome. See the Environmental Art web page for complete details. I-Park is also, for 2013, welcoming to its General Residency Programarchitects and landscape/garden designers. Click here to learn how emerging and established designers in these fields might productively benefit from a 2- or 4-week residency in the company of artists, composers and writers. The General Residency Program is offered at no cost to those accepted into the program. Contact Amanda Baker, Residency Program Manager, at the I-Park office for more information: iparkapplications@gmail.com or 860-873-2468. The 2013 Conference on International Opportunities in the Arts presented by TransCultural Exchange will take place in Boston on October 10–13, 2013. This four-day event brings together curators, galleries, funders, critics, artist-in-residency directors and artists from around the world for a unique cross-disciplinary platform to network, showcase, support and promote artists' work. Full and partial scholarships to the 2013 Conference are based solely on need. Only those making an annual, adjusted gross income of $25,000 or less are eligible to apply. 1. the amount of your 2011 adjusted gross income (as entered on line 37 of your 2011 Federal Tax form; not your Schedule C), including a statement testifying that this amount is true and accurate. 3. why the full registration cost to this Conference is beyond your current financial means. Letters must be received (not postmarked) by April 1, 2013. The Node Centerfor Curatorial Studies Residency is a program lasting twelve intensive weeks, designed for international emerging curators who wish to expand their professional practice by developing projects in Berlin in a collaborative environment. For more information, visit www.nodecenter.org/curatorial-program TransCultural Exchange is not responsible for the content of listings in the Opportunities section. All postings are subject to review; inappropriate submissions will not be published.